UPDATE/UPDATE/UPDATE. The Port Has Overturned The Illegal Ordinance. See Their Updated Rules Here. * Only “restricted areas” Are Now Off Limits. The New Rule Took Effect August, 2008. * As of 01.22.11 we have been notified that the Port of Portland has removed this link. Gun owners are expected to follow the rules whether they like it or not. The penalties for deciding to make your own laws up can be quite severe. But for some reason the same does not apply to schools who violate the law or to the Port of Portland and the Port of Portland Police. If you have the misfortune to be forced to visit the Portland Oregon Airport, you will be confronted by numerous signs warning you that you may not be in possession of a firearm while you are in the airport terminal. 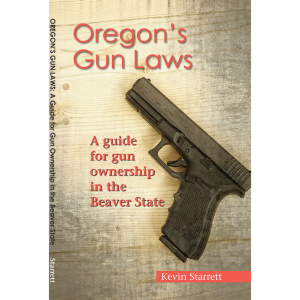 Because Oregon law is clear that only the state legislature may restrict concealed carry of handguns by license holders, we were curious about this rule. Where does the Port of Portland get the authority to restrict concealed carry (outside of the security checkpoint)? So we got a copy of the Port of Portland’s ordinance. It can be viewed here. As you can see, the ordinance starts by addressing only “unconcealed” firearms, but quickly covers all firearms. No exceptions are allowed for people with concealed handgun licenses. It does not take a legal scholar to determine that this is clearly in violation of the unambiguous language of Oregon law, reproduced above. So we contacted the Port of Portland Chief of Police, Phil Klahn. Our e-mail to him can be viewed here. Now, at this point it must be mentioned that at NO time did we ever discuss an intention to carry a gun in the terminal, although it is clearly legal. We called her back of course, but from that time on, she would not return calls. So, we sent a letter to the Chief, once again asking him to clarify his position rather than have a lawyer call us. Our letter to the Chief can be viewed here. We got this e-mail in response. We wrote back. Not long thereafter, we got a letter from lawyer Jacobson. It was lengthy. It explained why she did not believe the above mentioned Oregon law applied to the Port of Portland. At that point we contacted House Rep. Wayne Scott and asked him to check with the lawyers who actually wrote the law, Oregon’s Legislative Counsel. We wanted their opinion about what the law they drafted meant. Scott checked with them, and they responded. You can read their response here. This letter states in no uncertain terms that the Port of Portland is breaking the rules. So we wrote back to Jacobson, enclosed a copy of the letter from Legislative Counsel and asked her to explain the apparent contradictions between her interpretation of the law and the clear language of Oregon statute, as reiterated by Oregon’s Legislative Counsel. That letter can be viewed here. The final piece of correspondence can be view here. It is a letter from Chief Klahn informing us that he plans to continue enforcing a rule which violates Oregon law.